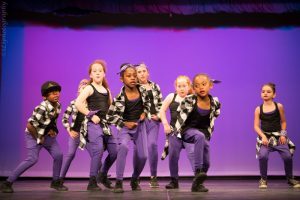 Whether your child aspires to become a professional dancer or whether dance is simply a fun activity for them, finding a studio that is fun, safe and has a nurturing environment where your child can learn and develop is paramount to their experience. Why choose Center Stage Dance? We provide a well-rounded dance education built on fundamentals and proper technique. All of our classes are taught be working professional dancers who have demonstrated an ability to teach at a very high level. We strive to maintain a fun environment as well as ensure that all of the fundamental concepts are being taught. Our education goes beyond just dance fundamentals. We strive to develop qualities every child needs to succeed, building confidence and self-esteem. We offer performance opportunities with 6 different companies (including two ALL-Hip-Hop crews) as well as a competition team. We limit the number of students in each class so that every child gets the attention they need to progress. We limit all of our classes for students ages 3 to 8 years to a maximum of 10 students in our small studio and 12 students in our larger studios. For our 8-18 year olds, we limit the classes to 10, 12, or 14 students depending on which studio the class is in. All of our studios are equipped with professional dance floors. Dance requires a lot of jumping, which can put stress on bones and joints. Our floating dance floors ensure the most safety from the stresses of dance, from the ground up. We are your home studio and we take pride in helping develop your child’s talents. We strive to create not only a fun and educational atmosphere but also a familiar one. Each year we invite a few of our senior dancers to assist our younger classes. They help to reinforce proper technique and habits and act as a role models for the younger ones. For 30 years, Center Stage Dance has earned a reputation for its excellence in dance education. Now in our second year of new ownership, we are continuing the tradition of being a solid youth program in the neighborhood and building the program to new levels.